Boasting an IT-experience of over ten years, Alex has been working in blockchain space since 2013. Currently he is leading the REMME company that builds distributed Access Management solution eliminating passwords. In 2014 Alex ran BitX, a start up that allowed people to pay for telecom and other everyday usage services in bitcoins. 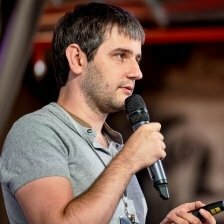 He is the Board Member of the Bitcoin Foundation Ukraine for the last three years and has also been in Bitcoin mining since 2015.